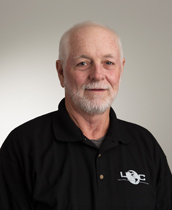 Joe joined UDC with over 25 years in carpentry and construction experience. He has worked in commercial construction as well as residential construction, home-building and remodeling. Joe was previously with Moore Properties for over 15 years overseeing the maintenance needs of their residential properties in the Tri-Cities. He joined UDC in December 2013 and has been a great asset to our team.